July 11, 2017: UAE-based conglomerate Mulk Holdings has invested Rs 100 crore to pick 50% stake in Mirage Ceramics. The Indian Ceramic Tiles industry does a humungous business of about INR 25,000cr per annum. With the support of a handful of respected brands, powering a large chunk of this business, and numerous upcoming ones, the ceramic tiles sector is one of the most dynamic sectors in India. Mirage Ceramics, a young 8-year old company that is managed by industry stalwarts with over two decades of experience, was the first Indian company with its own production setup of Glazed Vitrified Tiles (GVT). Later, with the successful replication of marble on to tiles and the introduction of the metallic finish, Mirage became a respected name of the ceramic industry in India. For a long time, ceramic tiles were perceived as hygiene products that served a basic need for cleanliness. However, Mirage completely changed that expectation with its tiles, which, in addition to being high on utility, came in a variety of finishes such as metallic, satin, matt, high gloss, stone, slate, wood, gold, silver, marble, lappato and rustic, thus making them the perfect for indoor as well as outdoor decoration. Over the years, Mirage has found its way into India’s most prestigious addresses, helping to sheen up classic and modern spaces. Mr. Shaji Ul Mulk further added, “India is a very lucrative market for us. The economy is booming and we look forward to an ongoing investment here over the next five years, during which we will be investing more than Rs. 1,000 crore in the Country”. With a portfolio of 18 companies across 11 countries Mulk Holdings has business interests across interior and exterior designs, metal composites, plastic industries, power generation, healthcare, real estate and solar energy. Their flagship brand, Alubond, a manufacturer of building façade panels, has a sales and distribution network in over 100 countries. The government’s focus on easing policies to aid businesses seems to be off to a promising start. The domestic growth is projected to be at 15%, ahead of the global standard of 11%. In the past 6 years itself, the ceramic sector has seen an investment of over INR 6,000 crores and the next few years are likely to see this figure jump up. 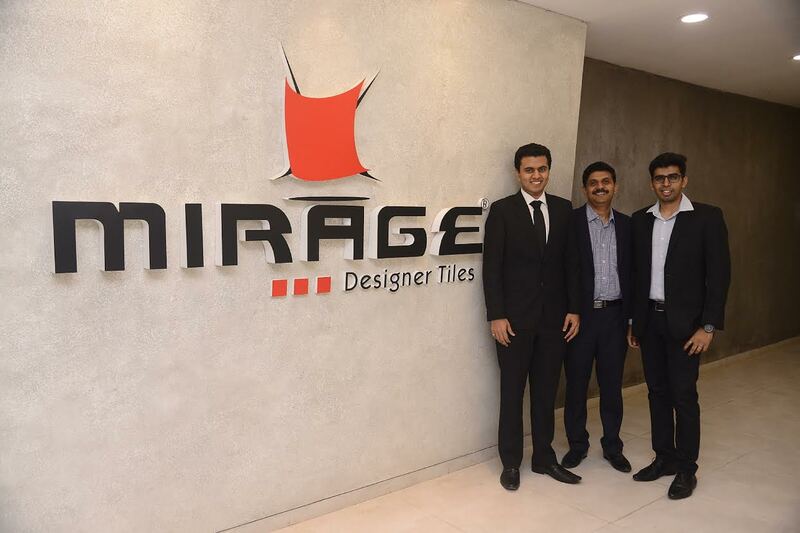 With Mulk Holdings’ major investment in Mirage Ceramics, the world’s attention has been drawn to India’s ceramic tile industry. And it promises to yield results faster than one would expect.